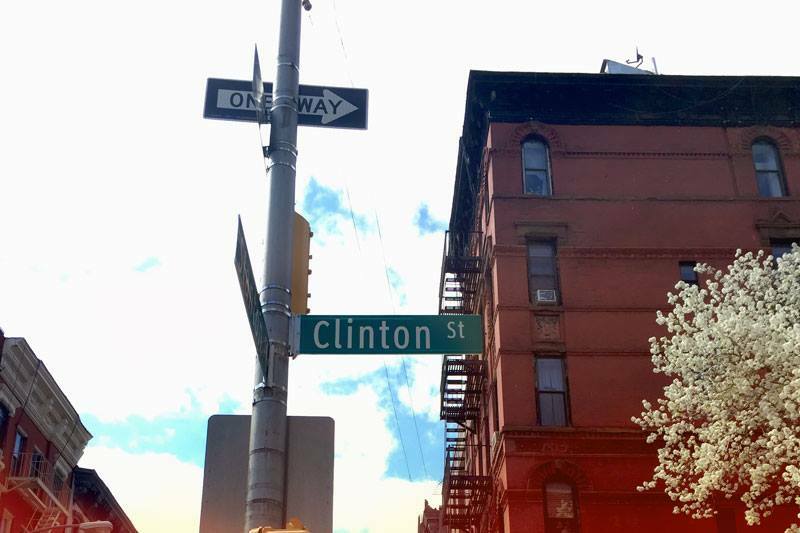 Experience the vibrant culture and commerce of Clinton Street, a diverse business corridor on the Lower East Side, with one-of-a-kind artist interventions, music, poetry, storytelling, performances, pop up shops, and more. Free and open to the public, with interactive fun for all ages! L.E.S. 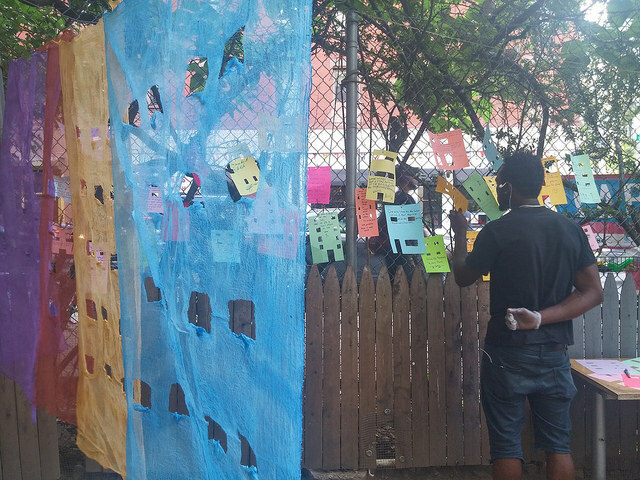 community members, Five Boro Story Project and artist Priscilla Stadler will transform the Clinton Community Garden (171 Stanton Street, on the corner of Clinton & Stanton) into a colorful City of Stories. 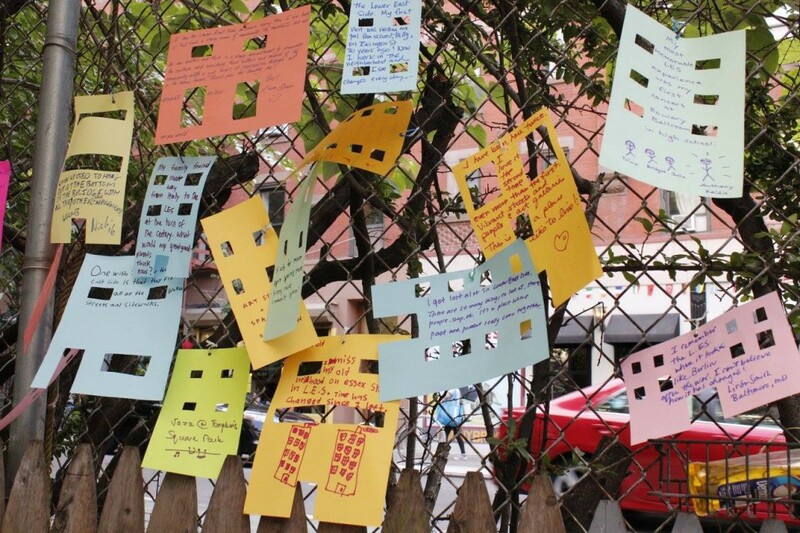 Step into the garden, write down your memories, stories, and wishes for the Lower East Side, then explore the space, find the perfect spot to hang your story, and hunt for other stories throughout the garden! 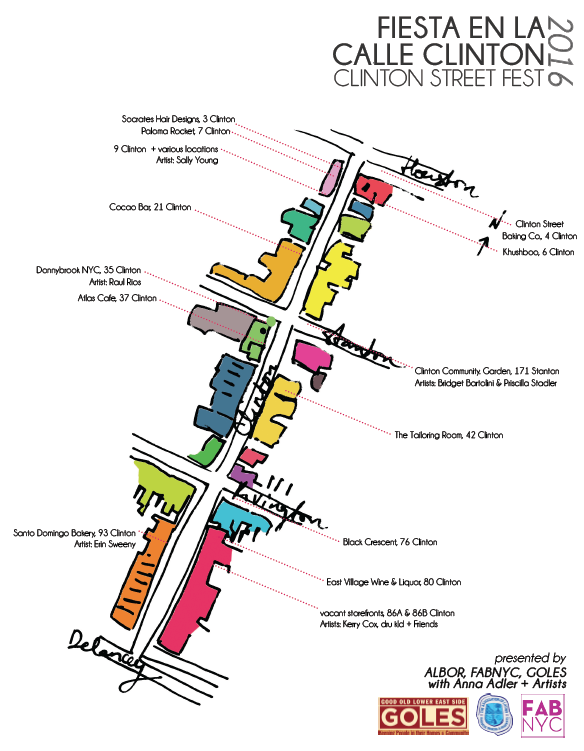 Clinton Street Fest will feature discounts and tastings at select Clinton Street businesses, including Atlas Cafe, Black Crescent, Clinton St Baking Company, Cocoa Bar, East Village Wine & Liquor, and Kushboo Indian Restaurant, plus drink specials at Donnybrook NYC and Paloma Rocket. This creative business attraction initiative is a collaborative effort between GOLES, ALBOR, FABNYC, and Anna Adler, with Featured Artists Bridget Bartolini, Kerry Cox, Raul K Rios, Priscilla Stadler, Erin Sweeney, Sally Young, dru kid + Friends. View “City of Stories: Clinton Street Fest” photos HERE.